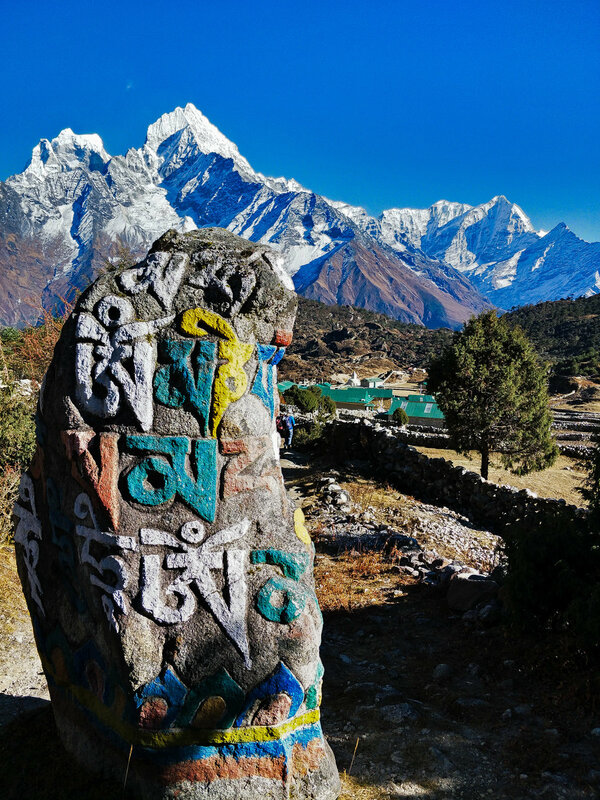 Trek through the beautiful Khumbu Valley to the Gokyo Lakes. 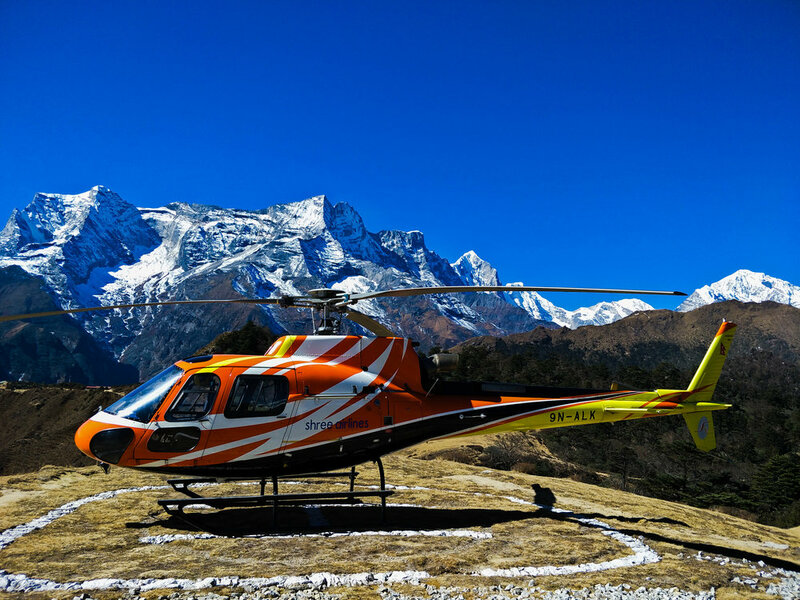 Fly into Lukla, then set off on foot through quaint Nepalese villages where you can volunteer at local schools, learn to cook local Nepalese food and sharpen your travel photography skills. 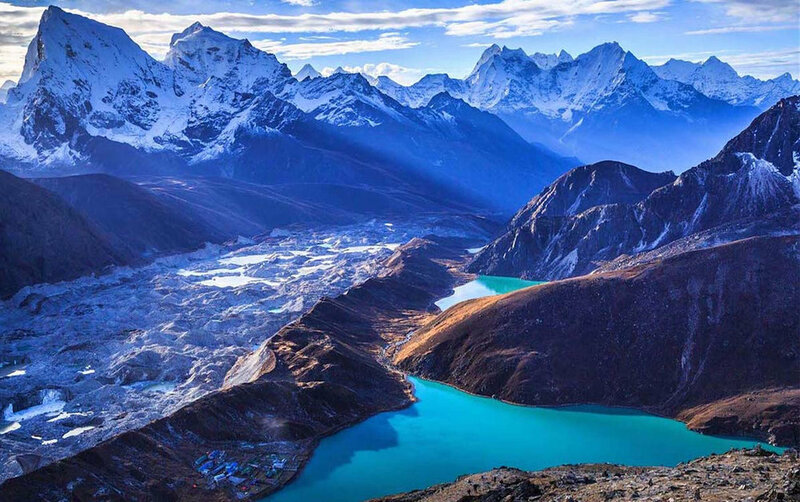 Trekking around Gokyo valley is considered a traditional trek that offers magnificent views of the mountain peaks and the Ngozumpa Glacier- the largest in Nepal’s Himalayas. The sparkling, pristine blue and green waters of the Gokyo Lakes are one of Nepal's most memorable sights. 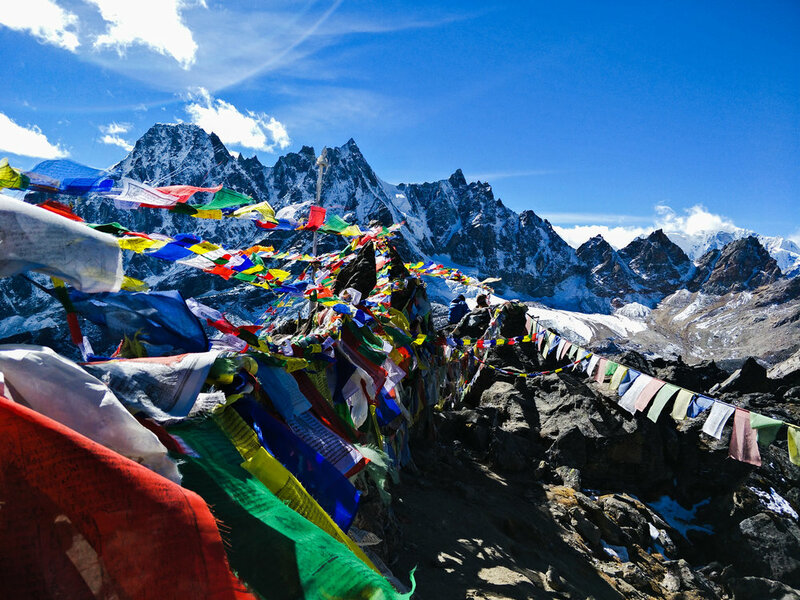 Along the trek, we will pass Buddhist monasteries with the views of Everest and other snow towering mountains getting closer by the day. We will have rest days in the villages of Namche bazaar that will allow us to explore the region and acclimatize, which is very important. After trekking to Gokyo Ri (5,483 m), we return at a leisurely pace back to Namche and Lukla for our flight back to Kathmandu. ** Discount available for returning clients. PRISTINE BEAUTY OF THE GOKYO VALLEY The sparkling, pristine blue and green waters of the Gokyo Lakes are one of Nepal’s most memorable sights. STAY OFF THE BEATEN PATH The Gokyo Lakes route is still fairly quiet, which means you can often walk a couple of hours without seeing other people. INCREDIBLE VIEWS OF MT EVEREST This climb offers some of the most incredible views of Mt Everest and Cho Oyu you will find. 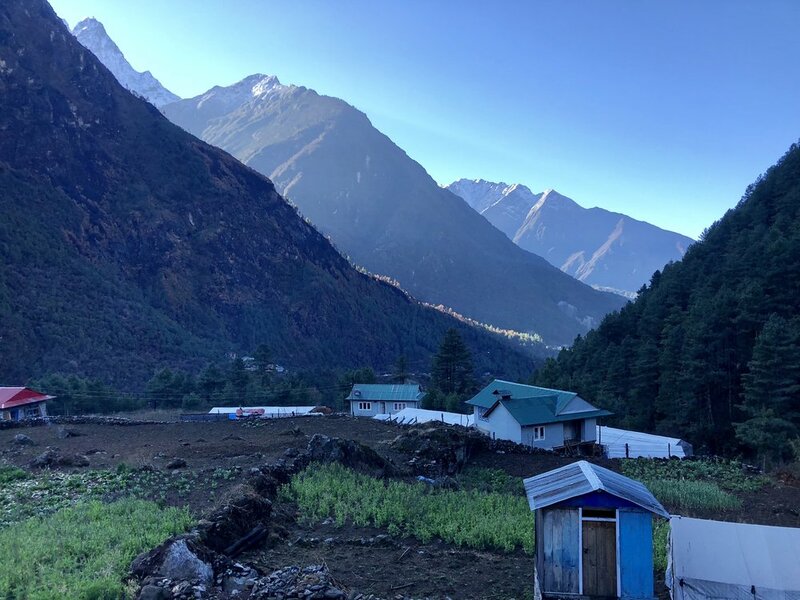 TREK ALONG THE LARGEST GLACIER Imagine yourself standing at the shores of a chain of six turquoise, glacial-fed lakes, trekking along the Ngozumpa Glacier, the largest glacier in the Himalayas. SMALL GROUPS When you choose to trek with Driftwood Adventure you will find yourself in a smaller more intimate group setting. We keep our groups smaller size to accommodate hikers of different levels and make sure everyone is comfortable and taken care of. This allows us to focus on each individual, making it a trip of a lifetime. CULTURAL IMMERSION Experience Sherpa culture, cook traditional Nepali food, stay at traditional Tea Houses. SERVICE PROJECTS We volunteer at local schools and other projects. PHOTOGRAPHY Individualized photography workshops (optional) to improve your photography skills and bring home amazing images. YOGA IN THE MOUNTAINS Stay conditioned, increase your stamina and experience the magic of yoga in the mountains with certified yoga instructors. KATHMANDU CITY TOUR Enjoy the guided city tour. "Being in around the Gokyo lakes and hike up to Gokyo Ri is one of the best experience of my life." "The fascinating views of the world highest mountains and the lake far below is awesome..."
"The views were absolutely stunning. well worth the effort needed to get there. The noise of the glacier cracking and grinding was almost unimaginable." Payment plans available. Submit the form below for more information.